Keep all your school supplies together with this Frozen pencil case featuring Elsa, Anna, and Olaf! This 8 by 3 inch pencil case is made of high quality canvas and includes a sturdy zipper. For more supplies for back to school, visit our School Supplies Collection. For backpacks and lunch bags, visit our Bags & Packs section in Kids Gear. 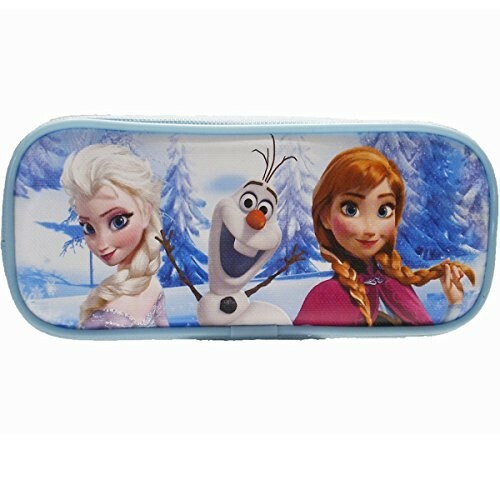 For more products featuring the characters from Frozen visit our Frozen Collection.